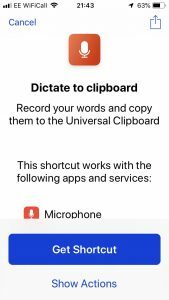 Several websites have commented on how useful it is, and AbilityNet provided an early review about how Siri can be used in additional ways with this app. It makes it possible to combine several steps into one automated step using the Shortcuts Widget or just asking Siri. 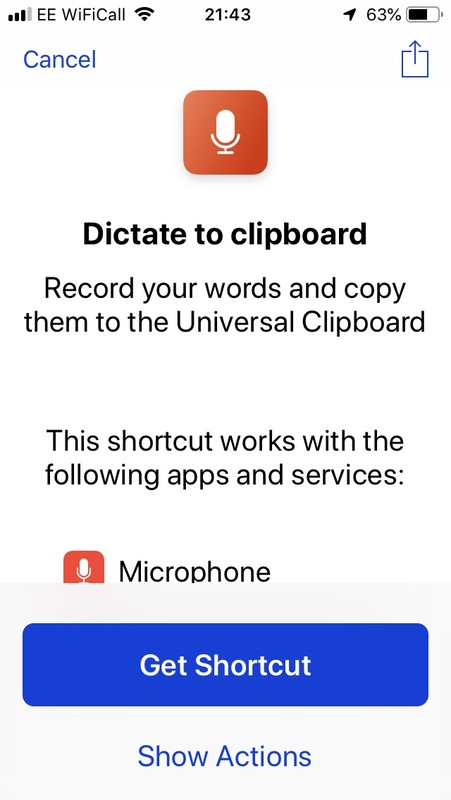 There is a gallery of shortcuts and one of them is a universal clipboard that allows you to dictate content using Siri for pasting into any other app or sending a message, email etc with just one command. GadgetHacks has more hints and tips about this app. James sent this through and we would like to say thank you as it is great to know that tablet technologies can work so well in these situations and Apple provided a replacement when needed! “The iPad was invaluable in the field as it allowed me to take notes and complete spreadsheets of field results on the move.The waterproof case was excellent and allowed me to continue writing in the rain, although I was not out in heavy rain due to the high risk of thunder and lightning during heavy rain in Florida. Battery life was more than enough to last the 6 hour field days, we did not stay out all day due to the extreme afternoon heat. I did find that I was unable to use voice recognition software in the field as both Dragon and the built in iPad notes voice recognition required wifi connection in order to work, but I managed ok typing one handed. The video camera function did stop working part way through the trip, but I don’t think this was anything to do with the climate or use. MyScript Calculator is free and can be downloaded onto an iPad, iPhone or Android tablet or phone. It is easy to use and copes with quite complex mathematical operations.